It’s just the market trend, man. The administration and their allies have worked hard to argue they aren’t killing the coal industry. Of course, the intent is to distract the American people from the fact that it is EPA’s unrelenting regulatory agenda that has caused much of coal’s challenges. The list of EPA regulations targeting coal is long, and includes the cross-state air pollution rule, the Mercury and Air Toxics Rule (MATS), PM 2.5 regulations, the cooling water intake rule, regional haze regulation, and the ozone rule. These regulations have resulted in dozens of gigawatts of coal generating capacity closing. The MATS regulation alone was responsible for 40 GW of coal closing. EPA is correct that their carbon rule is “following existing industry trends”, but it is EPA that created the trends through regulatory edicts. Yes, the hydraulic fracturing revolution, which has resulted in low natural gas prices, is also a challenge for coal. 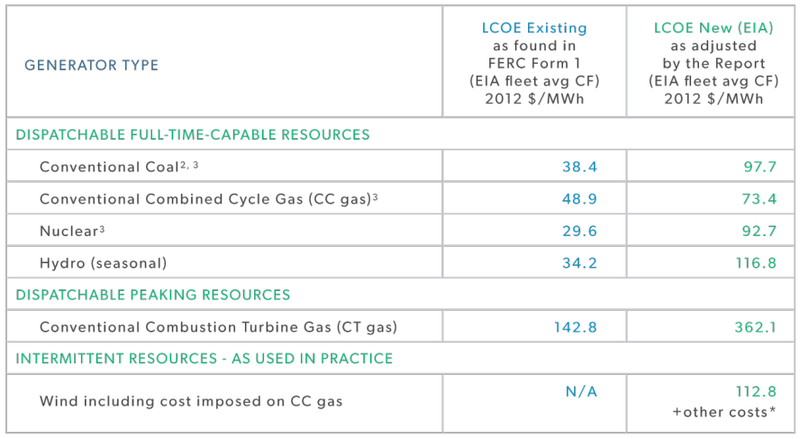 Even still, electricity from existing coal plants remains cheaper than electricity from new natural gas power plants. Lastly, EPA Administrator Gina McCarthy said this rule was “a big step forward on climate change.” How can this rule be a big step forward if it is just following existing industry trends? McCarthy and EPA are not telling the truth when they say that the rule is merely following industry trends. Hey DC Circuit, don’t worry that EPA is stretching the Clean Air Act beyond recognition–they’re saving the planet! The rule says that “climate change is already occurring”, but then fails to state that according to EPA’s own climate model, this regulation would lower global temperatures by 0.019 degrees Celsius by 2100. Other estimates found it would only reduce sea levels by 2 sheets of paper by 2050. In the face of this preposterous benefit (especially given the costs), EPA’s only reply is that they’re not doing it to avoid climate damage; it’s all about showing leadership, as EPA Chief Gina McCarthy testified last week. Last we checked, the Clean Air Act was written to reduce pollution – not to show “leadership.” Showing other countries that the U.S. is willing to drive up electricity prices and harm U.S. citizens isn’t a compelling benefit. But what do we know? After all, we would like to grow the economy and improve the welfare of Americans. EPA is “very conservative” in their renewable estimates. Perhaps EPA’s most egregious change from the proposed carbon rule to the final rule is EPA’s assumption of a doubling of renewable generation to fill the void of coal taken off-line and reduced reliance on natural gas. Therefore, it’s only fitting that EPA’s defense of the approach is equally ludicrous. First, wind and solar are intermittent sources of energy, which means they cannot be relied on to provide sufficient electricity at a given point when the grid needs it. Conversely, coal and natural gas are baseload sources of power, precisely because they can be scaled up or down at any given time to meet energy needs. This is a critical difference between renewables and fossil fuels that permanently makes the former unable to actually replace the latter. The cherry-picking method used to manufacture these projections has been written about extensively. (Quick explanation: EPA’s methodology of choosing a five-year window (2010-2014) to assess renewable capacity from five difference sources that was added to the grid each year was a reasonable approach. The questionable decision-making came when they chose to take the year with the greatest capacity added for each source to forecast new generation brought online in the future. This demonstrated a clear bias toward substantially rosier assumptions than their “conservative approach” claims and has been criticized for the unrealistic outcome expected from applying this maximum capacity for each source across most of the compliance period). The most consequential assumption pertained to onshore wind. The abnormal amount of wind capacity installations in 2012 as the result of the potential expiration of the wind production tax credit was a clear outlier in all trends and reasonable forecasting for future years. Yet EPA assumed this abnormal production would be the norm in wind capacity additions from 2024-2030. For some context of the incredible amount of wind generation assumed, the land mass needed for just the turbines EPA believes will be constructed from 2022 to 2030 would be over 5.2 million acres—greater than the combined land area of Rhode Island, Delaware, and Connecticut. This is addition to the 4.2 million acres of wind turbines expected to be installed as of 2021— another questionable projection. The land use assumptions alone are mind-blowing, not to mention the new transmission requirements needed to support this wind fleet. The EPA’s defense is that it could have used the 2012 amount for every year in from 2022 to 2030 but chose to take the “conservative approach” of assigning the average generation from the 2010 to 2014 timeframe for the first two years of compliance (2022 to 2023). This somehow alleviates their cherry-picked projections for the other seven years of the compliance window. Finally, it should be noted that EPA is an environmental regulator and not an energy regulator. As such, the court should give EPA no deference to EPA’s claims that “technological advancements, dramatic cost reductions, and renewable industry expansion”  will occur. This is clearly outside their expertise and subject to severe academic criticism. It’s not about energy (even though we’ve promised to bankrupt the coal industry). EPA makes this claim responding to the argument that the regulation intrudes on state sovereignty by directly regulating energy markets. Because the rule usurps state control, EPA is left with a meek defense that acknowledges the impact but denies any intent. But their intent to bankrupt coal and prevent new coal plants from being built cannot be denied. The agency’s boss, President Obama, promised to bankrupt coal and make electricity prices “skyrocket” in his 2008 presidential campaign, and has demonized the fuel on countless other occasions. We’re the EPA dammit, give us deference! While denying any attempt to regulate energy, the EPA spends significant time defending its right to receive Chevron deference for many of the questionable assumptions and interpretations it made in formulating the rule. Yet several of these judgment calls require expertise and familiarity with energy regulation, not environmental regulation. For example, EPA used a model to predict the cost, transmission requirements, siting, and construction lead times of the new generation. They chose to use data and renewable cost estimates from the National Renewable Energy Laboratory (NREL) rather than “the governmental entity charged with forecasting electricity generation and demand”—the Energy Information Administration (EIA). The Institute for Energy Research has written about the importance of this choice and how it demonstrates EPA’s strong bias toward renewable energy. Finally, while seeking to substitute baseload energy (coal) with intermittent energy (wind), EPA does so by looking at wind’s capacity factor (i.e., expected annual generation) instead of the actual generation capacity the grid operator can depend on being available when it is most needed. EPA claims to have understood this point and used the actual generation capacity in their model, but one has to wonder the reason for citing the higher capacity figure in the first place while knowing its inadequacy in meeting demand. All of these are important judgment calls that EPA is not qualified to make, and have the potential to substantially change the rule. Yet by doing so, it’s pretending to be the national energy czar it professes not to be. At the heart of the EPA’s carbon rule is it’s novel interpretation that the Clean Air Act allows it to go “outside the fence” in its regulatory reach. The technical conversation centers around ambiguous sounding terms like “generation shifting”, but the leap from regulating only power plants to regulating the entire electric grid is a seismic shift in EPA’s authority. If the DC Circuit agrees with the no-holds-barred approach to EPA’s newfound authority, what can the agency not regulate? Won’t the EPA be given reign over the entire U.S. economy? After all, practically every economic activity produces some carbon dioxide. This is about power and politics. Period. Interestingly, the ONLY initiative outlined is opening potential investigations into companies and individuals who have expressed dissenting views on climate change. If the world were literally burning before us, as this “coalition” believes, would persecution of those who disagree really be the first (most important) step to putting out the fire? Ultimately, the whole movement is about growing government, handing the keys to the city to environmental special interests, and above all, enriching billionaires who have substantial investments in the renewable industry. After all, Al Gore doesn’t have anything to do with law enforcement, but he does have a lot to do with getting rich off global warming alarmism. Respondent EPA’s Initial Brief (“EPA brief”), West Virginia v. EPA, at 3 (Mar. 28, 2016).